Fluted Paper Chef Hats are a great addition to any kitchen. By offering these hats in paper, disposable form, any restaurant or caterer can add panache to their kitchen while cutting down on laundry costs. Each has an adjustable sizer to create the perfect fit and with a vented top, the wearer is provided airflow and comfort. Chef hats are white in color and available in 7", 9" and 10" in height. 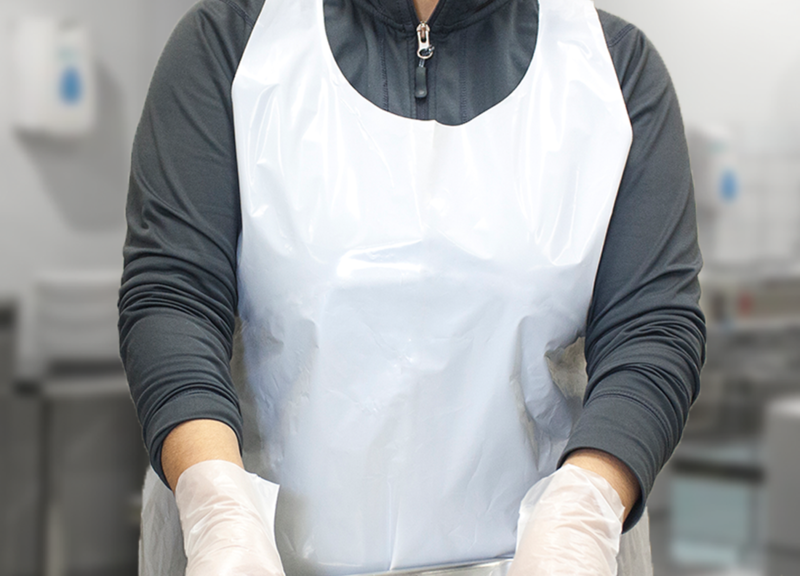 Heavy Duty Poly Aprons are recommended for all prep and serving duties. 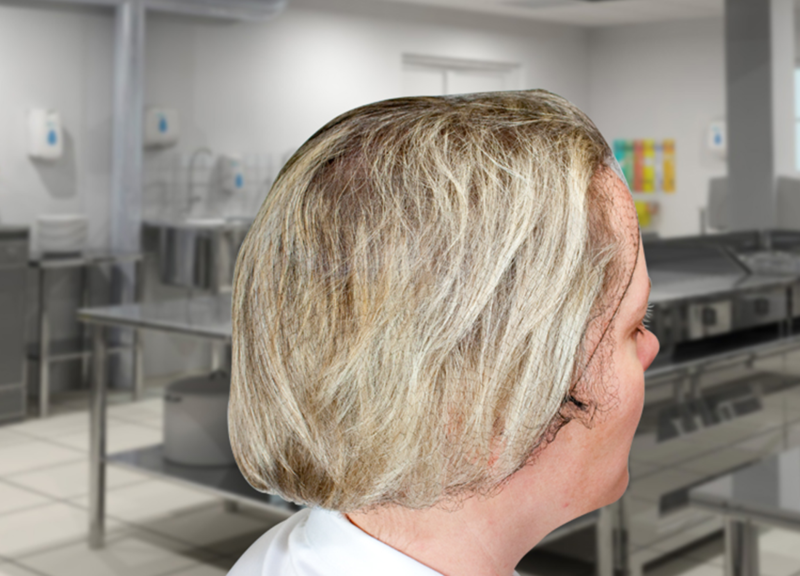 They protect uniforms and clothing, and combined with proper hygiene practices and frequent changes, can help reduce the possibility of cross contamination and the potential transfer of harmful bacteria or viruses. 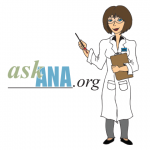 Microbes can double in number quickly and harmful viruses can also spread quickly. Extra long ties make tying quick and easy, and a large neck opening provide a cooler more comfortable wear. 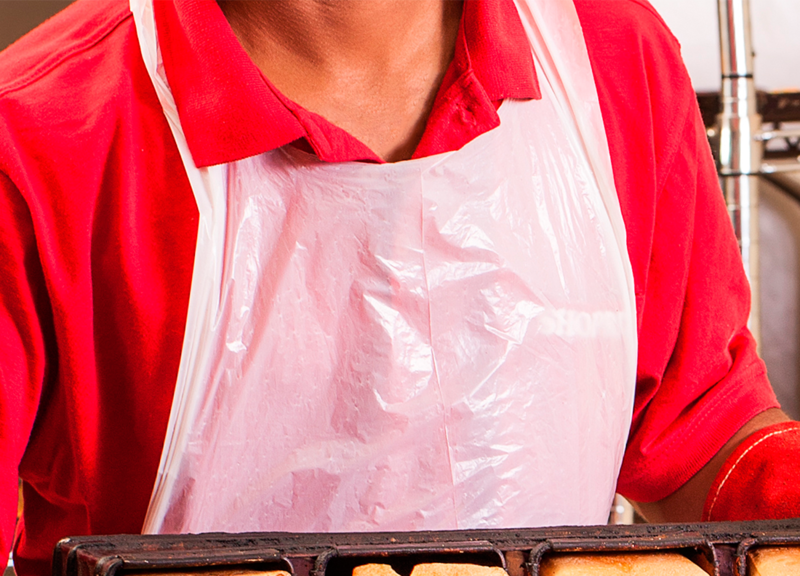 Light Duty Poly Aprons are recommended for all prep and serving duties. They protect uniforms and clothing, and combined with proper hygiene practices and frequent changes, can help reduce the possibility of cross contamination and the potential transfer of harmful bacteria or viruses. Microbes can double in number quickly and harmful viruses can also spread quickly. Extra long ties make tying quick and easy, and a large neck opening provide a cooler more comfortable wear. 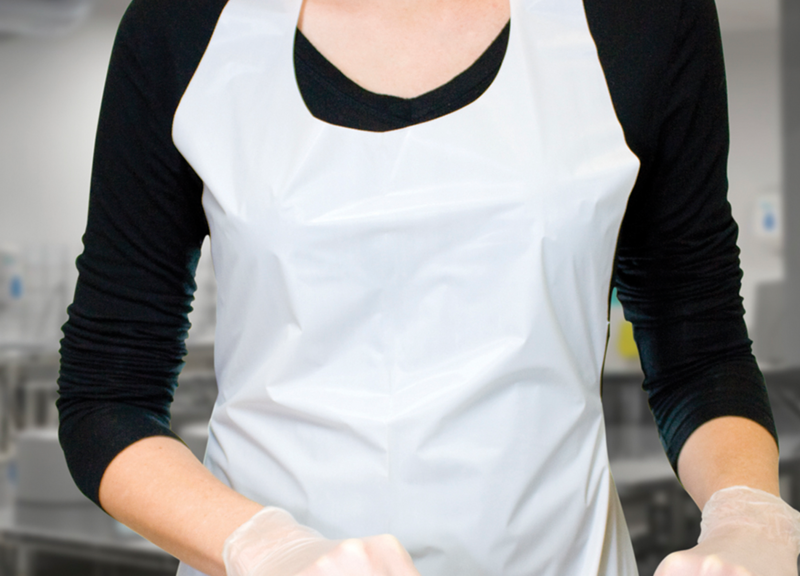 Medium Duty Poly Aprons are recommended for all prep and serving duties. They protect uniforms and clothing, and combined with proper hygiene practices and frequent changes, can help reduce the possibility of cross contamination and the potential transfer of harmful bacteria or viruses. Microbes can double in number quickly and harmful viruses can also spread quickly. Extra long ties make tying quick and easy, and a large neck opening provide a cooler more comfortable wear. 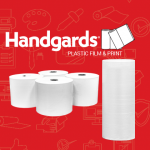 Handgards® Moist Towelettes are alcohol-free premoistened towelettes that are the perfect accompaniment for those messy to eat foods, like BBQ or buffalo wings. Lightly scented for a fresh feel after that quick clean up, simply tear the pouch, unfold the 5x6 sheet, use and discard. Your customers will appreciate the courtesy for in-house dining and/or as an addition to that to-go meal. 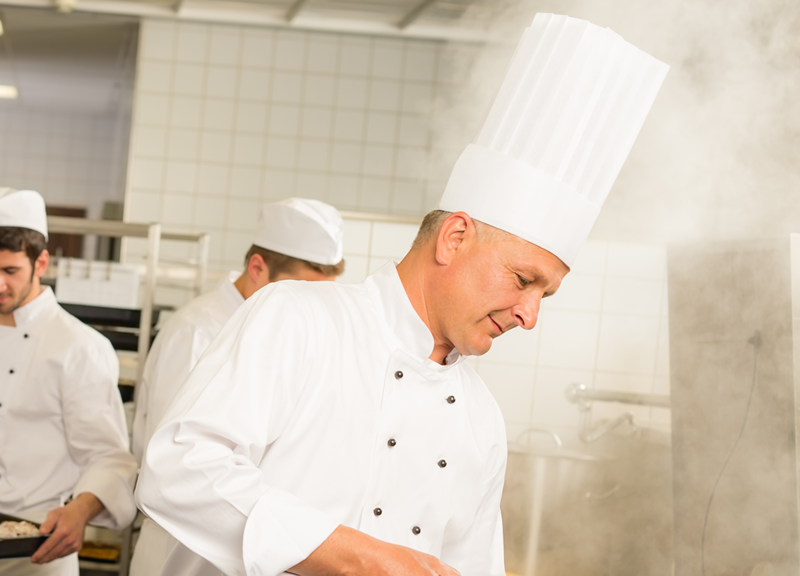 Neatgards Non-Woven Chef Hats are the ideal choice for culinary settings that require a professional look at an affordable price. 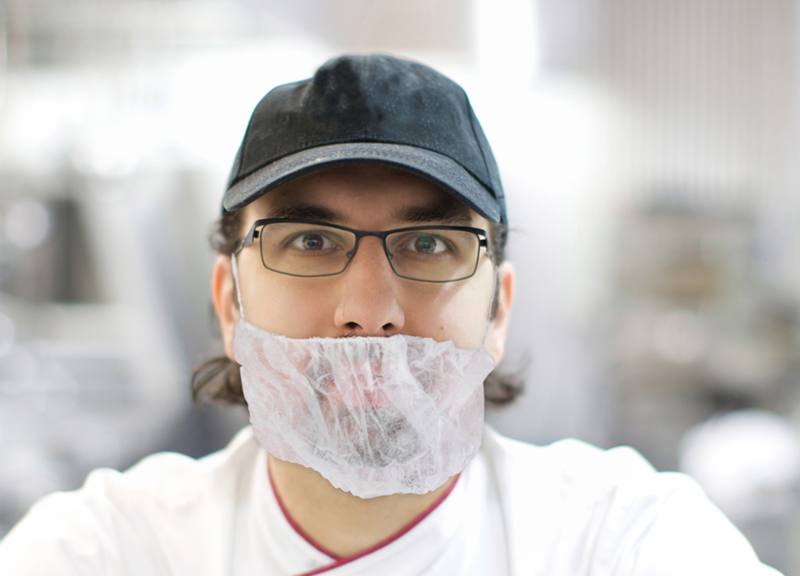 Each chef hat is made from a durable, lightweight, non-woven viscose material that may be used repeatedly and then conveniently disposed of. These hats are European style, with an oval top and pleats for an upscale look. 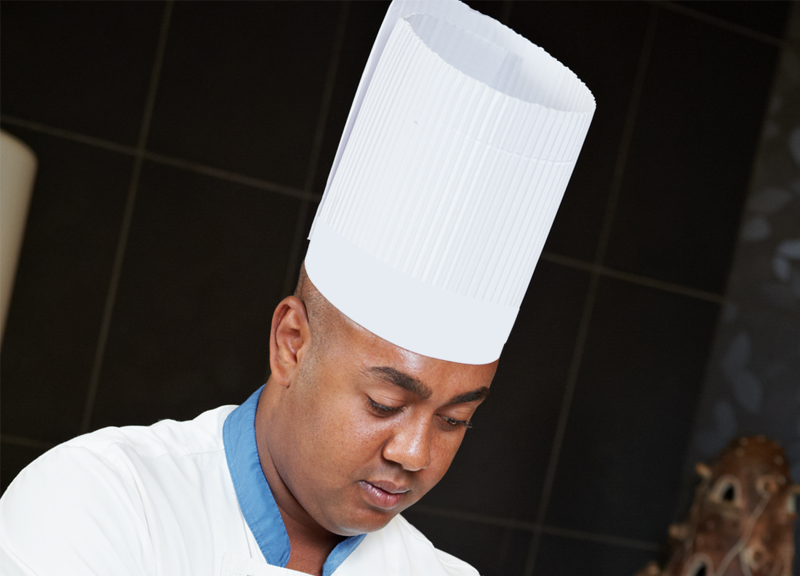 For added comfort and a secure fit, Neatgards chef hats also feature an adjustable velcro closure. As an added benefit, these hats are fully assembled and flat packed, to bring you more hats at once, reducing time and transport costs. Overseas Paper Caps are another great headwear option available for your entire back of the house or line cook area. Caps are white, made of paper and are 21" in size. Pleated Paper Chef Hats are a great addition to any kitchen. By offering these hats in paper, disposable form, any restaurant or caterer can add panache to their kitchen while cutting down on laundry costs. Each has an adjustable sizer to create the perfect fit and with a vented top, the wearer is provided airflow and comfort. Chef hats are white in color and available in 7", 9" and 10" in height. 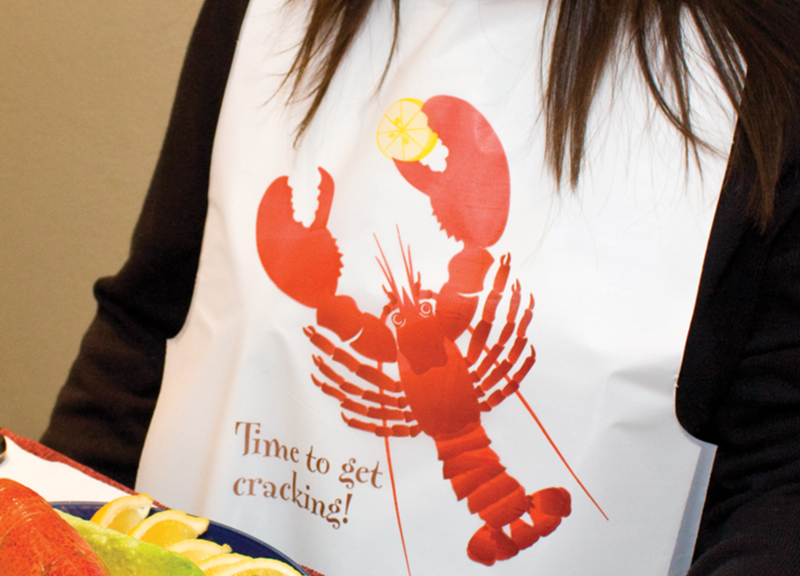 Poly Adult Bibs are made of embossed LDPE film. 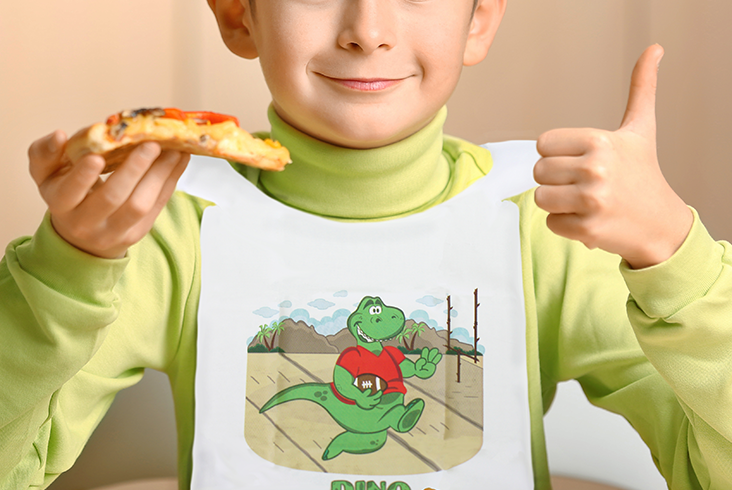 Adult bibs are available in plain white or in your choice of four pre-printed designs. 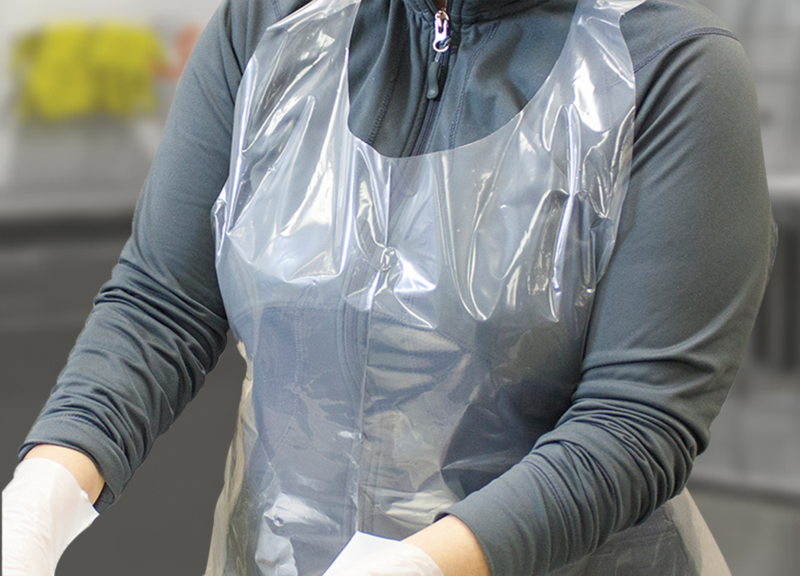 Our bibs also help protect clothing and help prevent contamination. Poly Child Bibs are made of embossed LDPE film and are available in plain white or in your choice of four pre-printed designs. Our children's bibs help protect clothing and help prevent contamination and also feature a front folded crumb pocket to help catch any spills. They are available in pre-pack with four pre-printed designs.